There are 9 blog entries for April 2012. Monday, April 30th, 2012 at 11:49am. With Earth Day on the minds of many homeowners, the idea of reducing their carbon footprint of everyday household living now tops the priority list – primarily for feel-good reasons. They want to reduce global warming by recycling more and using less, and that’s all good. But industry experts say there are “green” reasons to go green, in addition to the altruistic ones. Because saving money is a major motivator, those experts have revealed some of the penny-pinching perks homeowners can expect on their way to saving the planet. Thursday, April 19th, 2012 at 2:53pm. Family-friendly Egret Landing has Jupiter homes for sale in a convenient and cozy location east of Interstate 95 and Florida’s Turnpike and near some of the best schools in Palm Beach County. Amenities at Egret Landing include seven tennis courts for the racquet-sports enthusiast, a tot lot for little ones, a basketball court for those who love the game of hoops, a community swimming pool and a clubhouse with a fitness center. Fees are low and include cable television. The neighborhood of 650 stylish, one- and two-story Jupiter homes has as many as six bedrooms and is nestled on 250 acres of beautifully wooded land. Modern conveniences include shopping malls, gourmet restaurants and Jupiter beautiful beaches. Monday, April 16th, 2012 at 4:09pm. Some of the most palatial Jupiter waterfront homes on the market are available at Loxahatchee River Road, where river frontage nears 300 feet, yielding unbelievable views. The Jupiter homes on the river are located in large, multi-acre lots filled with lush, tropical plants. Floorplans can range up to 11,000 square feet and five bedrooms. All the modern luxuries are included, such as decadent foyers, grandiose staircases, an elevator, a home-theater room, multiple fireplaces and an outdoor oasis that features a swimming pool, and enormous patio and a boat dock. Friday, April 13th, 2012 at 2:42pm. Ocean Trail, a coveted condominium community with stunning views and marvelous amenities, is the only development directly on the beach in Jupiter. The breathtaking, 14-story buildings offer Jupiter oceanfront homes unparalleled in the town. It sits on 22 prime acres, and its five buildings house two- and three-bedroom Jupiter oceanfront condos for sale. With around-the-clock security and private beach access, Ocean Trail makes a great real-estate investment. Every room has a view of the ocean. The swimming pool and spa await. Many of the units have been upgraded with modern appointments. There are nine well-maintained tennis courts and a pro shop. Fees include insurance, pool and lawn service and building maintenance. Wednesday, April 11th, 2012 at 2:04pm. The Mediterranean-tinged subdivision of Porto Vecchio in Mirasol comprises 135 lovely Palm Beach Gardens homes with modern features, amenities and appointments. Among the features in the Mirasol golf homes are custom cabinetry, granite countertops, state-of-the-art appliances, wood floors, crown molding, French doors, marble vanities in the master bathroom and California closets in the master bedroom. Tuesday, April 10th, 2012 at 2:59pm. Eighty elegant condominiums in two beautiful, beachfront buildings grace the sandy shores of Singer Island and offer luxury waterfront living at Dunes Towers. The Singer Island condos for sale range from one- to three-bedroom units that average 1,400 square feet and feature wrap-around balconies, from which homeowners can soak up the scenic views. Amenities at the Singer Island condos include welcoming lobbies, a clubhouse with a kitchen, a gorgeous swimming pool, a library, a fitness area with his-and-her saunas and covered parking. Interior features include space-saving built-ins, generous walk-in closets and modern upgrades. Monday, April 9th, 2012 at 2:25pm. The beautiful beaches of Singer Island beckon at Connemara, a condominium complex where living is a breeze. 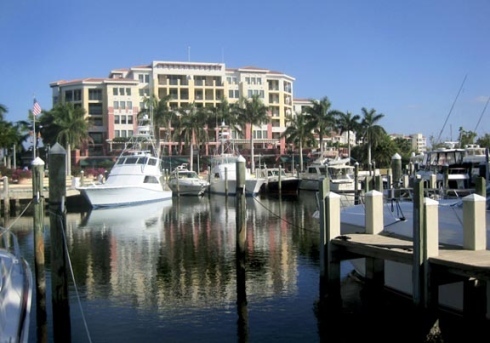 Homeowners lucky enough to resident in the Singer Island condos find that there is much to do and enjoy. Palm Beach – the next island to the south – is famous for its shopping and dining and is home to renowned Worth Avenue. Around the corner is John D. MacArthur Beach State Park, offering a taste of natural South Florida and its many ecosystems. For those who love to find a bargain, the fashionable stores at The Gardens Mall offers lots of them. Monday, April 9th, 2012 at 2:02pm. Rising 18 stories into the sunny South Florida sky is Aquarius, a resort at Singer Island offering 112 units of condominium heaven. The oceanfront one- and two-bedroom units span up to 1,450 square feet and are equipped with modern touches, as most of them have received major upgrades. The Singer Island condos for sale feature a heated swimming pool and a sauna, a recreation room with a pool table, an exercise facility, a club room with a kitchen and lots of storage. Pets are welcome. Residents enjoy private access to the nearby beach, 24-hour security and convenient covered parking. Quarterly fees include cable television, building insurance and lawn maintenance.